Indian Hill resident Sean Callan has been named by Best Lawyers as the 2019 “Lawyer of the Year” for Land Use and Zoning Law. Receiving this designation reflects the high level of respect a lawyer has earned among other leading lawyers in the practice area for their abilities, their professionalism, and their integrity. 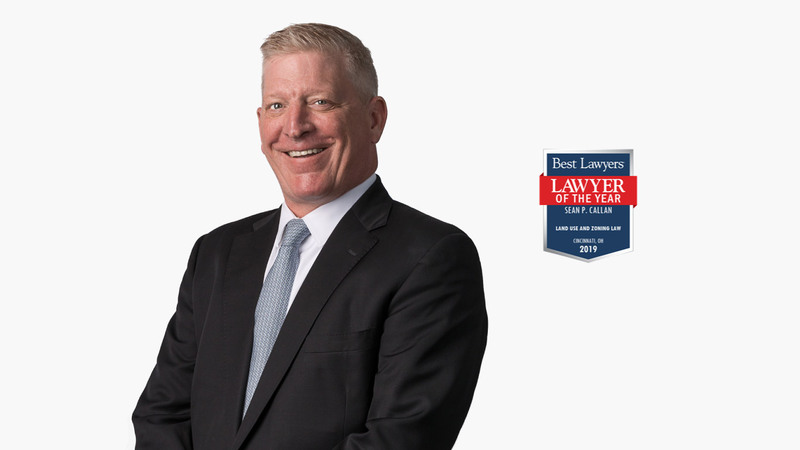 In addition to the “Lawyer of the Year” award, Sean was also listed in the 2019 Edition of The Best Lawyers in America in Real Estate Law. Sean is rated AV® Preeminent™ in Martindale-Hubbell and is also a member of the Multi-Million Dollar Advocates Forum, Top Trial Lawyers in America, a membership reserved for attorneys obtaining multi-million dollar verdicts or settlements in litigation. Sean is a partner at Manley Burke, LPA.